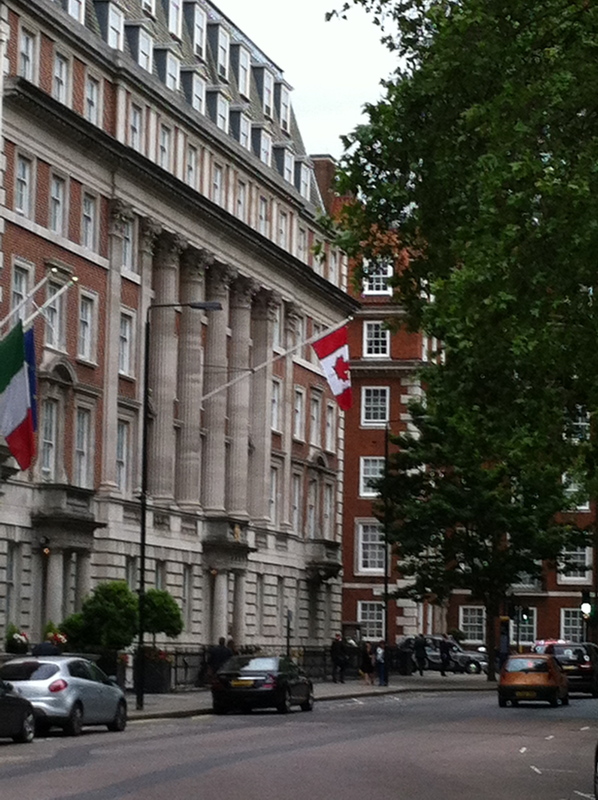 Since the Georgian era, the Mayfair district has been one of London’s most prestigious places to live. 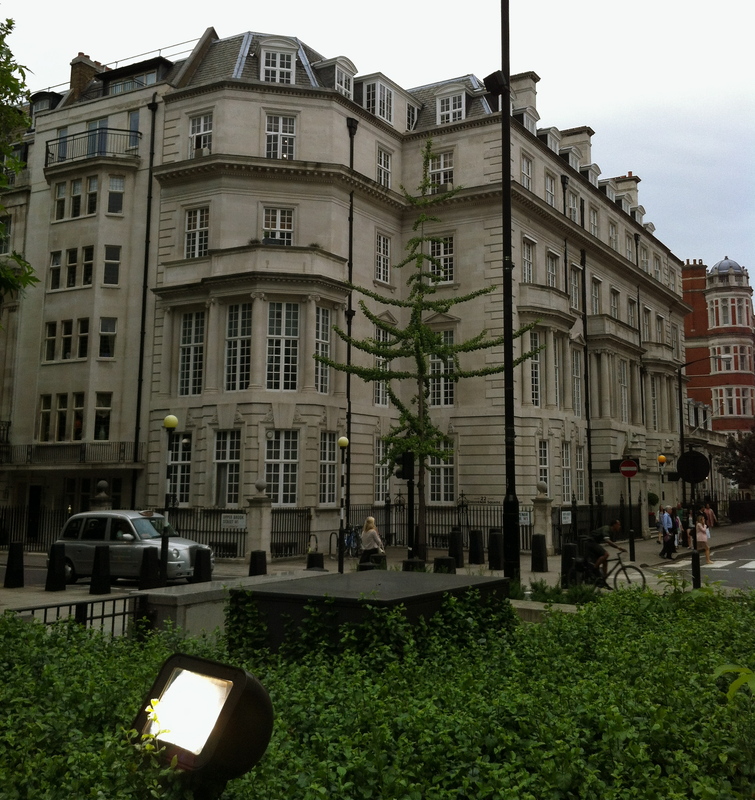 And Grosvenor Square was one of the most fashionable addresses. This garden square surrounded by residential buildings was designed by Sir Richard Grosvenor, the 4th Baronet, who is an ancestor to the modern-day Dukes of Westminster. During the late 17th and early 18th centuries, the estates in London were being developed. 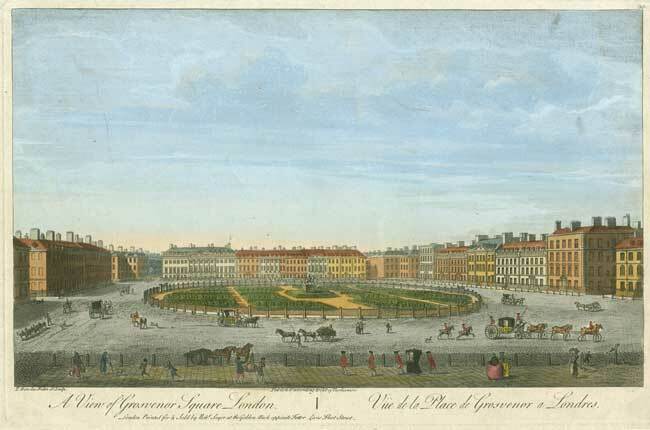 In 1710, Grosvenor designed a plan for a large garden square at the center of his estate. It was intended to be the finest of all the then existing squares. The area was to have uniform houses, with stables behind them. 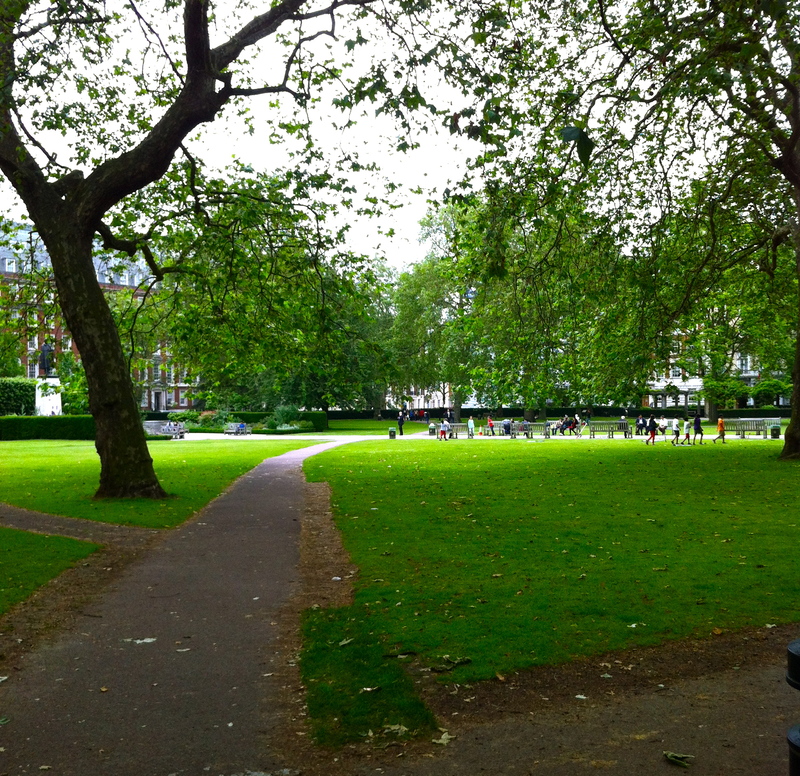 Construction of Grosvenor Square began in 1725. The engraving below shows how the original plan was altered over time. On the far left side, the houses are identical. The further you travel along the street, the houses look different. 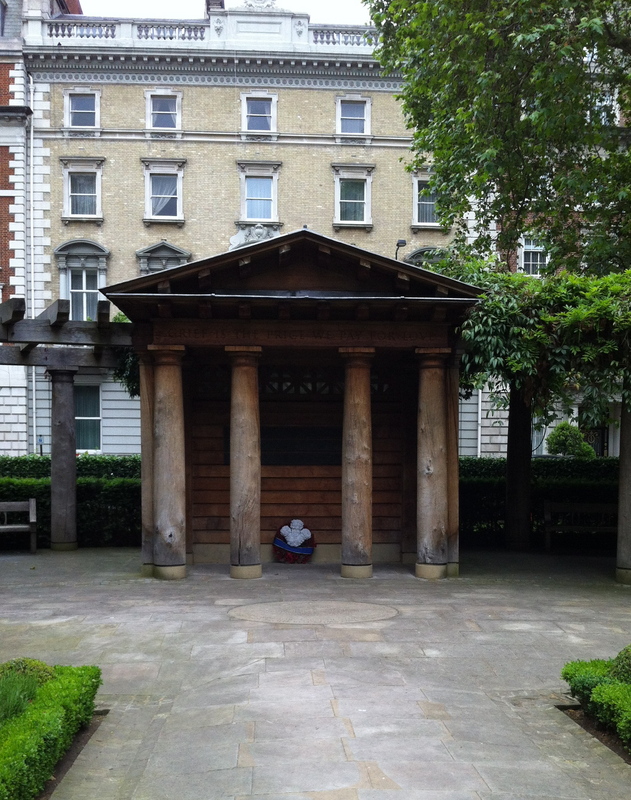 I visited Grosvenor Square during my last visit to London, to see for myself what it looks like. While some of the original buildings remain, the majority of them have been rebuilt over the years. 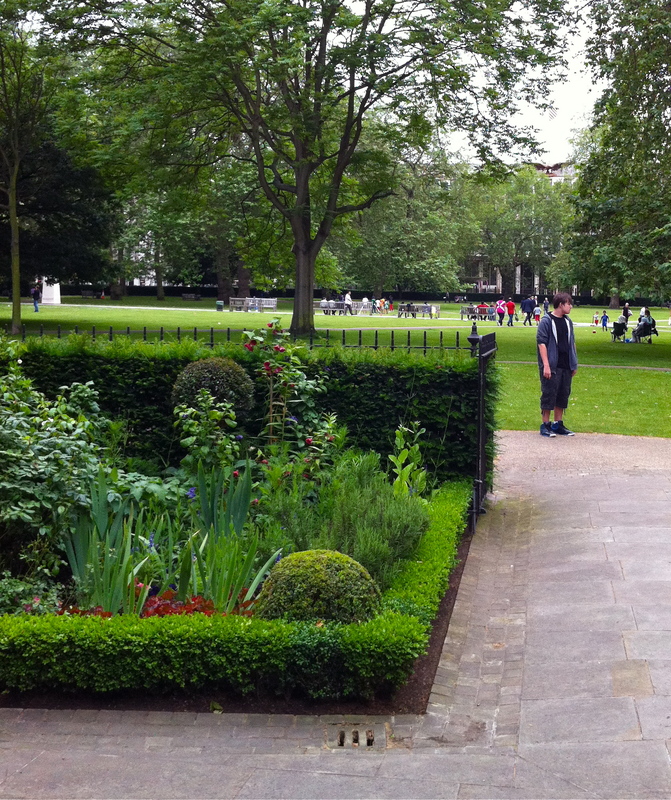 In the early 18th century, most of the garden squares in London were designed so that the central parkland was reserved for the exclusive use of the square’s residences. 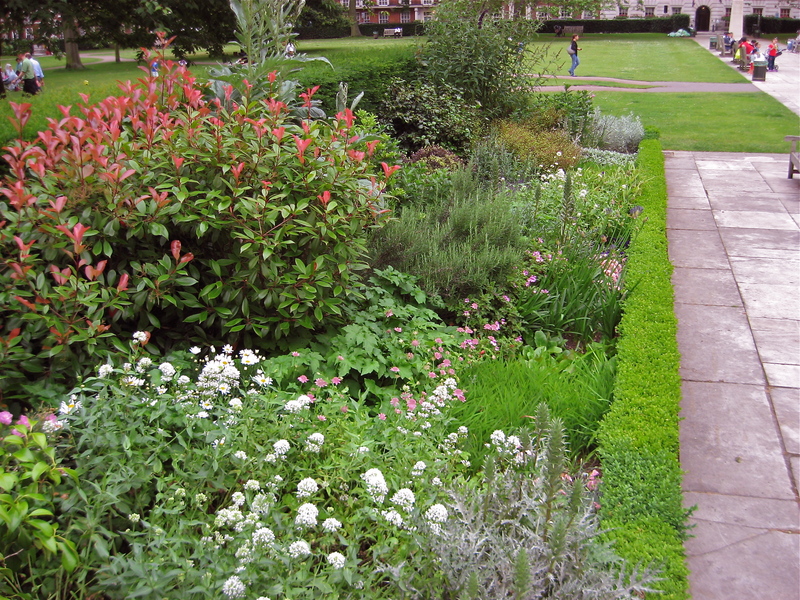 Grosvenor hired William Kent to design his garden. Originally a brick wall was constructed to enclose it. Later, this wall was replaced with iron railings, which gives the area an open feel. Today, the general pubic is allowed into the garden and in the eastern end there is a memorial dedicated to the British victims of the September 11, 2001 terrorist attacks. 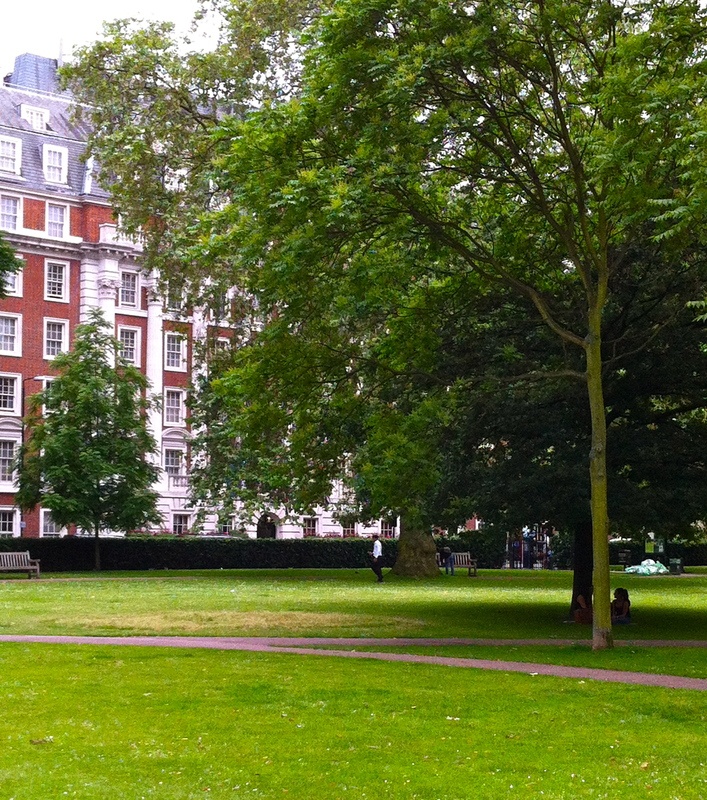 Grosvenor Square is not cut off from the rest of London. To give you an idea of the surrounding streets during the late 18th century, here is a portion of the Horwood map of London, which was completed in 1799. 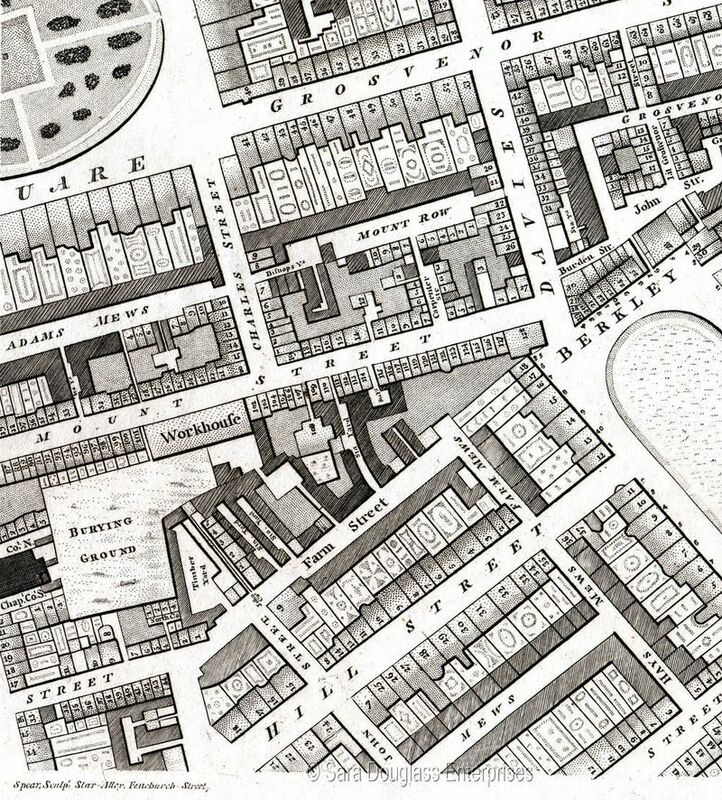 The southeastern section of Grosvenor Square is in the upper left corner of the map. If you are familiar with stories set in the Regency era, you’ve probably read about English aristocrats driving along Rotten Row during the fashionable hour. This portion of Christopher and John Greenwood’s map of London from 1827, shows how close Grosvenor Square is to Hyde Park. 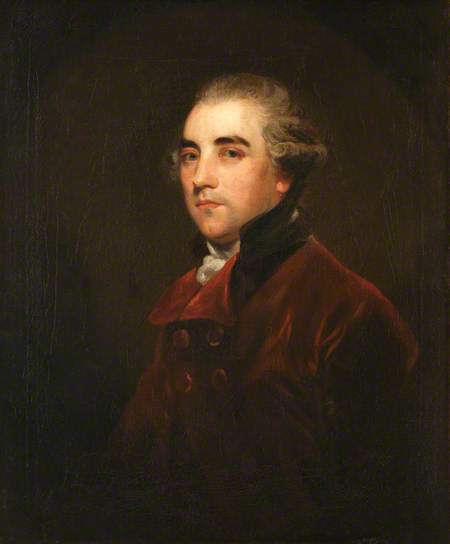 The 11th Earl of Derby hired renowned architect Robert Adam to build him a residence at Number 23. It was regarded as one of Adam’s finest works. Unfortunately, it was demolished in the 1860s. 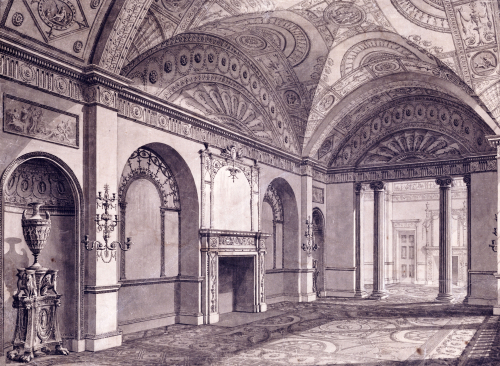 The only image I was able to find of the earl’s residence is this engraving of the Third Drawing Room. 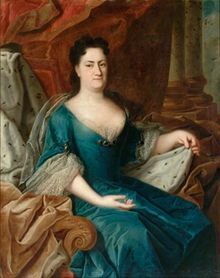 The Duchess of Kendal, George I’s mistress, lived at Number 43 from 1728 to 1743. Her former residence is still standing. 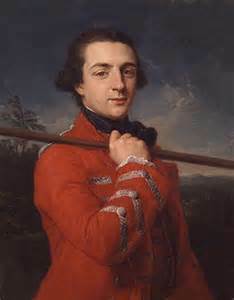 The 3rd Duke of Dorset (1745-1799) lived at Number 38. 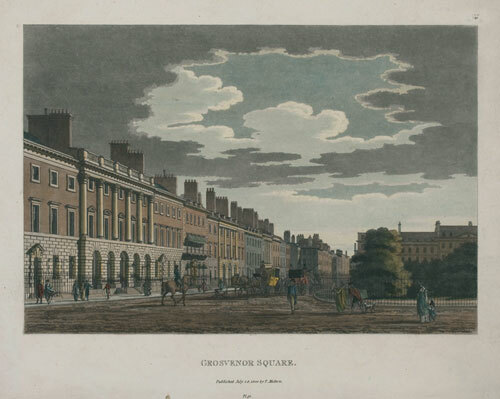 The 3rd Duke of Grafton (1735-1811), the Prime Minister who was famous for his indiscreet private life and racing stables, also called Grosvenor Square home. Other notable residents include: John Wilkes, Esq. 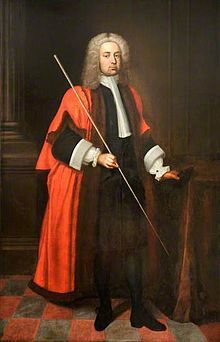 who was Alderman and Chamberlain of the City of London; the Marquis of Rockingham; and Lord North, the 2nd Earl of Guilford, who was the Prime Minister during the American Revolutionary War. 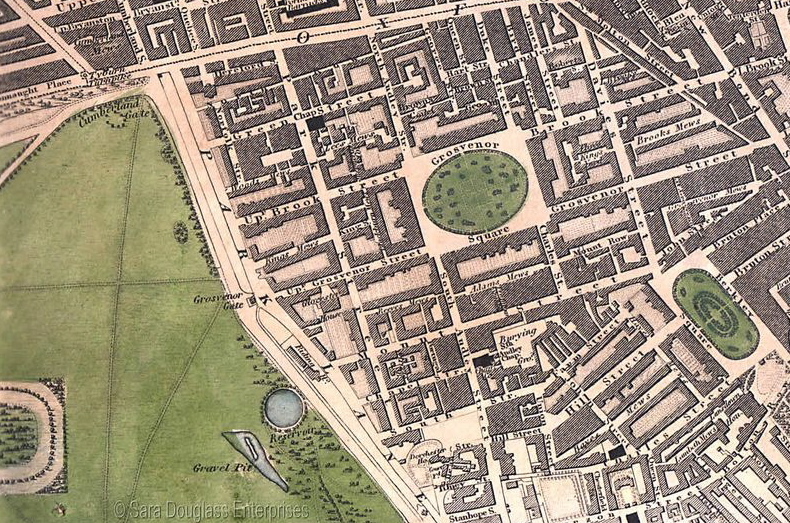 Grosvenor Square has other ties to America, which can still be seen today. In 1785, the first American Minister to the Court of St. James, John Adams, took up residence at Number 9 Grosvenor Square. His daughter, Abigail, was married from that house to Colonel William Stephens Smith. In 1788, Adams returned to America and became the second President of the United States. The building Adams lived in still stands on the corner of Duke and Brook Streets. 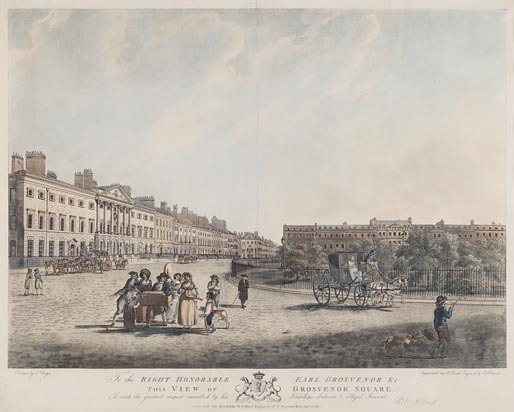 Today, Grosvenor Square looks different than it did in the Georgian era. When I was there, I sat in the park on a warm June evening and three teenage boys road their skateboards past me. On the grassy lawn to my left, a father was teaching his little girl how to dribble a soccer ball. At the time, I couldn’t help but wonder what Sir Richard Grosvenor would have thought of the changes to his elegant corner of the world. What’s Inside the Traveling Studio of an 18th Century Miniature Portrait Artist? Thank you for sharing, I love “than – now”-articles! I especially enjoyed that you noted who used to live at Grovenor Place, including the correct addresses and special events. Thanks for stopping by my blog, Anna. I love “then and now” articles as well. 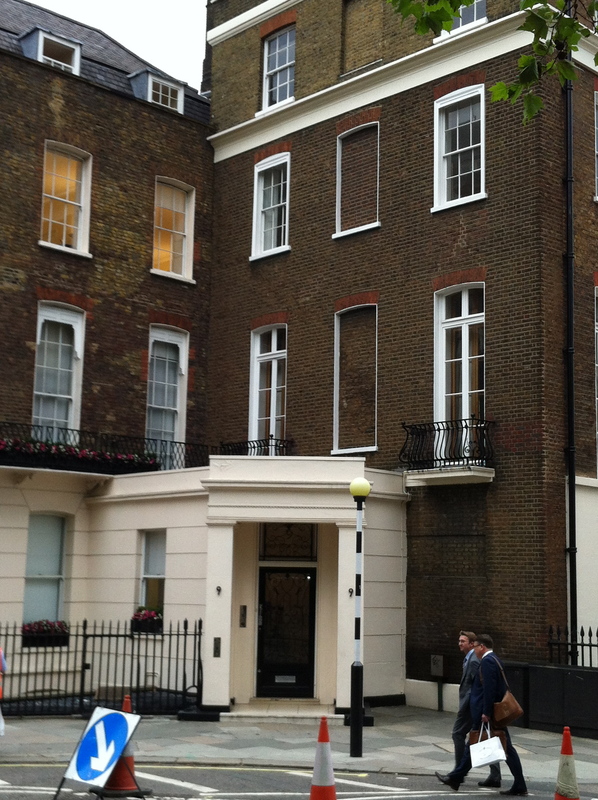 I had fun finding out who lived on Grosvenor Square and seeing what they looked like. I’m glad you enjoyed that part of my post. Very interesting, thank you, especially the details on who lived where and whether their buildings survived. Thanks, Helena. I’m glad you enjoyed the information on Grosvenor Square. It was fun finding out who lived there. I actually had to leave a number of interesting people out of the post, because I thought it might have been too long. Maybe I’ll do a follow post on additional people and events.